You may recall how last week’s update to Google Search brought “OK Google” hotword detection to any screen, something which was previously only available when on the home screen of the Google Experience Launcher or in the Google Search app itself. We’ve now received one more update to Google Search, but even with this latest update, the revised hotword detection is only available to certain Google accounts. Luckily, root-enabled users were quick to find workarounds, but as we all know, not everyone’s running a rooted device. Now, Redditors have found a way to get this working on any device and user account, without the use of any fancy root-enabled sorcery. 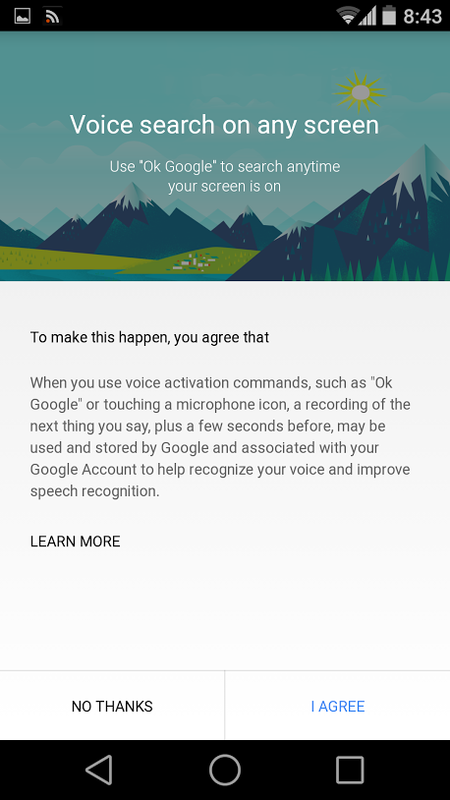 The procedure itself involves nothing more than searching for “OK Google Everywhere.” After doing so and then backing out of Google Now, you’ll be able to go to Google Now Settings –> Voice –> OK Google Detection and enable hotword detection from any screen (including the lock screen). Audio History and Anywhere Detection should now be available as settings. If you’ve been longing for the Moto X-like hotword detection from any screen, now’s your chance to get in on the fun. Now if only this could be extended to when the display is powered off for users willing to sacrifice a bit of battery life for this added functionality.